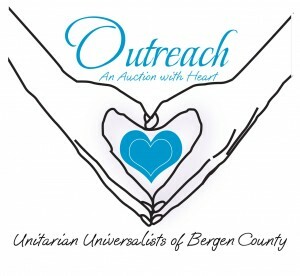 Come to the Unitarian Universalist Outreach Auction of Bergen County at Central Unitarian Church in Paramus on Saturday evening, November 3, at 6:30. 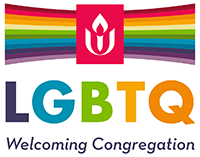 This annual fundraiser, a joint effort of two Unitarian Universalist congregations, benefits six Bergen County charities that fulfill basic life needs. $35 tickets are sold at the door and cover your admission, hors-d’oeuvres, and a sheet of Tricky Tray tickets. Childcare is available. If you can’t attend the Outreach Auction you can still donate using the absentee bid form to either bid on a live item or donate directly to the charities. The Defining Moment Foundation is an educational foundation and change agent against Elder Bullying in the lives of seniors in Bergen County and is dedicated to the healthy enrichment of all seniors. Court Appointed Special Advocates (CASA) support and promote court-appointed volunteer advocacy for nearly 500 abused and neglected children in Bergen County. Community Meals, Inc.’s volunteers deliver meals (25,000 in 2017) to those who cannot shop or cook for themselves due to age or disability, including free meals to clients with financial need. Holley Childcare & Development Center is a 64-bed residential treatment facility, serving children 5 to 14 years old who are emotionally handicapped as a result of abuse, neglect, poverty, abandonment or other circumstances. Bergen Volunteer Medical Initiative (BVMI) utilizes passionate volunteer healthcare professionals to provide free, comprehensive, patient-centered primary care for 1,400 low income, working Bergen County residents who do not have insurance. Northern NJ Sanctuary Coalition finds and supports volunteers willing to house applicants for asylum who have been recently released from detention (prison), and provides financial support, helps with job searches, education, job training and medical care for the asylum seeker until he/she can live here independently. If you can’t attend the Outreach Auction you can still donate using the absentee bid form either to bid on a live item or donate directly to the charities. Go to uuoutreachauction.org. For more information about the Outreach Auction, visit uuoutreachauction.org or e-mail uuoutreachauction@gmail.com.